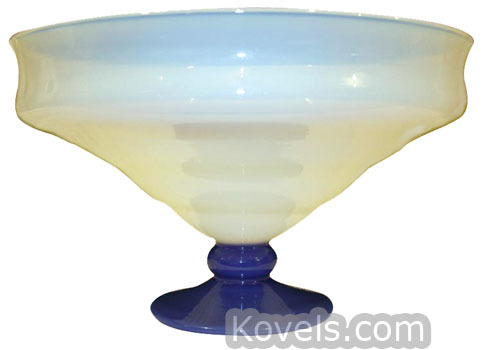 Fry glass was made by the H.C. Fry Glass Company of Rochester, Pennsylvania. 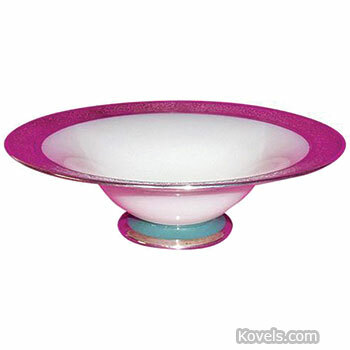 The company, founded in 1901, first made cut glass and other types of fine glasswares. In 1922, they patented a heat-resistant glass called Pearl Ovenglass. 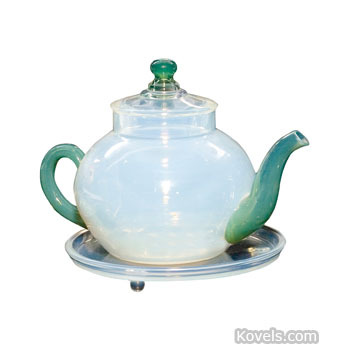 For two years, 1926-1927, the company made Fry Foval, an opal ware decorated with colored trim. Reproductions of this glass have been made. The "Foval" in Fry Foval is an acronym of "Fry Ovenglass Art Line." 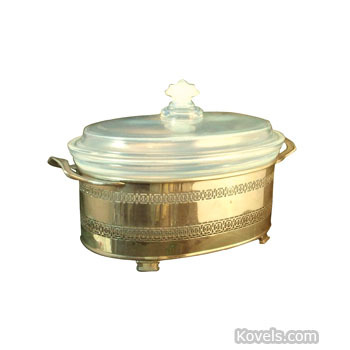 Depression glass patterns made by Fry may be listed in the Depression Glass category. Some pieces of cut glass may also be included in the Cut Glass category.